SPORTS MEDICINE: Jamaica's Olympic team doctor, Dr. Michael Douglas (seen here on the job with Usain Bolt), will be providing support for all the athletes participating in the True Blue Soccerfest & Ziadie Cup memorial match this weekend in Miramar, Florida. 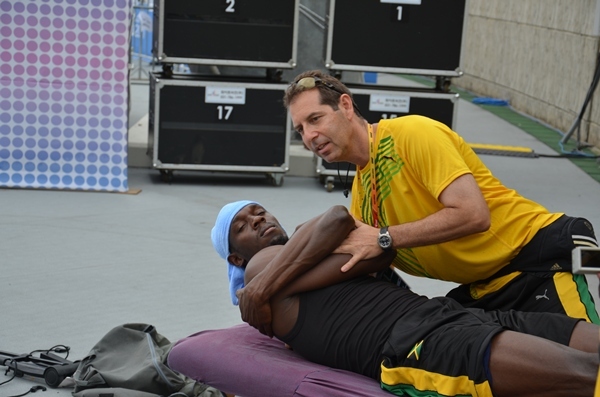 "I am really excited about providing medical support and advice for everyone at this year's event," says Dr. Douglas, who has served as Jamaica's official team doctor to the Summer Olympics and World Champs for the past 19 years. "Weekend warriors are even at more risk for injuries than Olympians. I am sure we will be very busy, but I hope not. 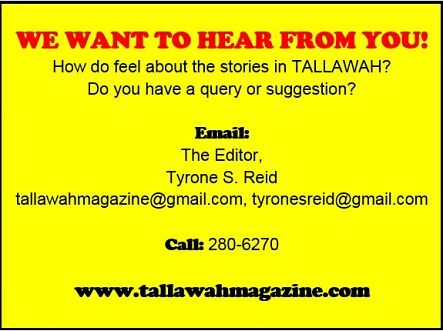 I look forward to contributing to such an important community event." The 9th Annual True Blue Weekend will take place March 15-17. The 3-day event is hosted by the St. George's College Old Boys' Association of Florida and the Jamaica College Old Boys' Association of Florida and is an expansion from the annual Ziadie Cup soccer match between the two associations. Last year’s match drew over 1500 spectators and supporters. To learn more about Dr. Douglas and his work, visit douglaschiropractic.com. FUTURE LEADERS: The Prime Minister’s Youth Awards for Excellence, traditionally handed out in December, will be hosted on Sunday, March 24 inside the Emancipation Park. The open-to-the-public function, which annual honours outstanding young Jamaican men and women, will commence at 4:00 pm. This year’s staging of the awards is being held under the theme “Youth on a Mission…Project 2062”. 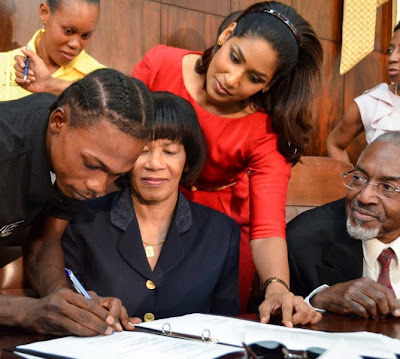 PM Portia Simpson Miller says the youth awards programme is an excellent avenue to motivate and inspire Jamaica's young people to achieve while honouring and recognizing those who have made their mark in their respective fields. The annual awards recognizes young Jamaicans (between 15 and 24 years of age) who have contributed to the nation’s development and who have excelled in various areas, including sport, international achievement, academics, leadership, arts and culture, journalism, youth in service, entrepreneurship and agriculture.